Who doesn’t love a great pair of jeans? I would probably live in denim if I wasn’t for the magnetic draw of midi skirt and dresses. However, sometimes an infatuation needs a little update, and in this case that update comes in the form of a statement necklace. Usually reserved for those who are far more adventurous when it comes to the jewelry department than I, the statement necklace is one of the best jeans sasser uppers that I have ever seen. Especially this one. Stunning statement necklace, perfect accessory for this look! …from head to toe! Love the mules, Miranda! 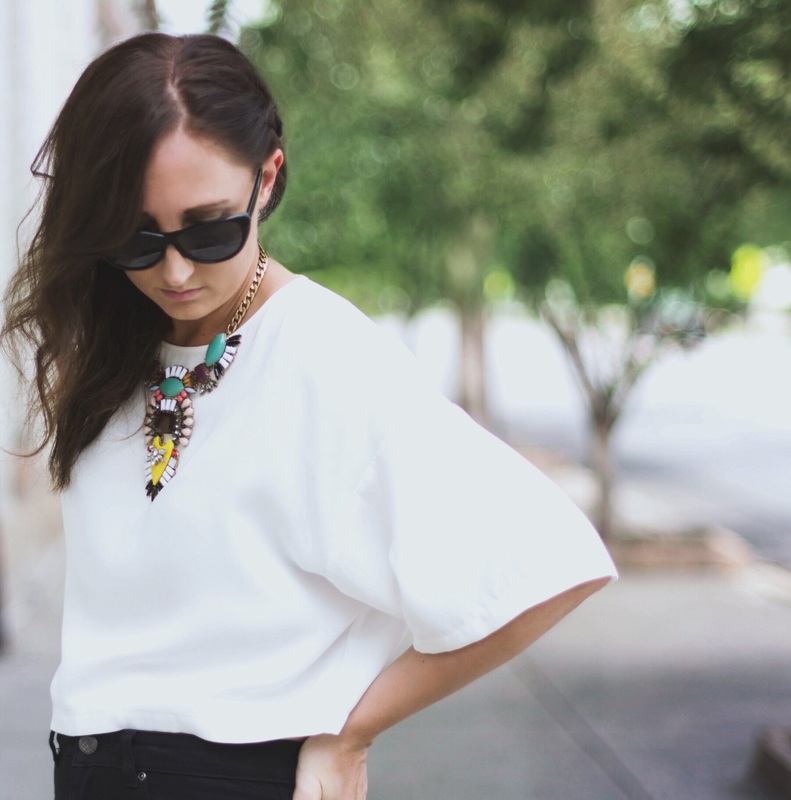 Fierce look in black and white with a beautiful statement necklace as a pop of color! Such a great statement necklace. I love the boxy shorter first of your top with the higher waist of your jean. The black and white pairing is so good with the colorful necklace. Always looking so good in high-rise jeans! Actually, I hate a great pair of jeans. Just kidding. They’re the best. As are those shoes. Love your look, it’s so chic!